The remains of St Andrews Castle lie on a headland overlooking the coast. Protected by the sea on all but one side, St Andrews Castle was a strong fortification intended to protect the interests of the church. No portion of this page, text, photos, images or code may be copied, reproduced, published or distributed in any medium without the expressed written permission of the copyright holder. 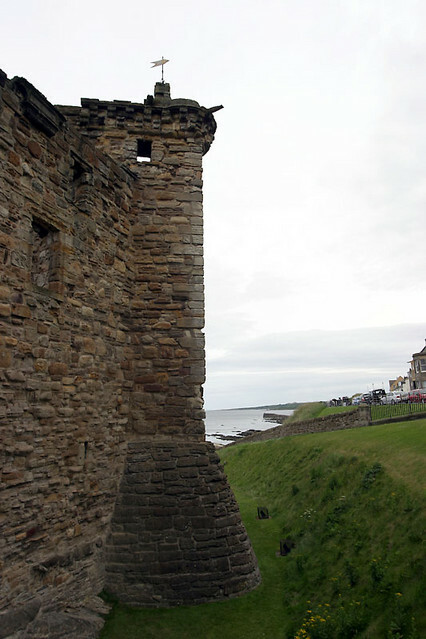 Including this photo of Castle Wall Tower, St Andrews Castle.